These fascinating photographs were kindly sent by John Duffell and show men of the 2/6th Battalion during their time on an entrenching course at Epping from 8th to 24th February. 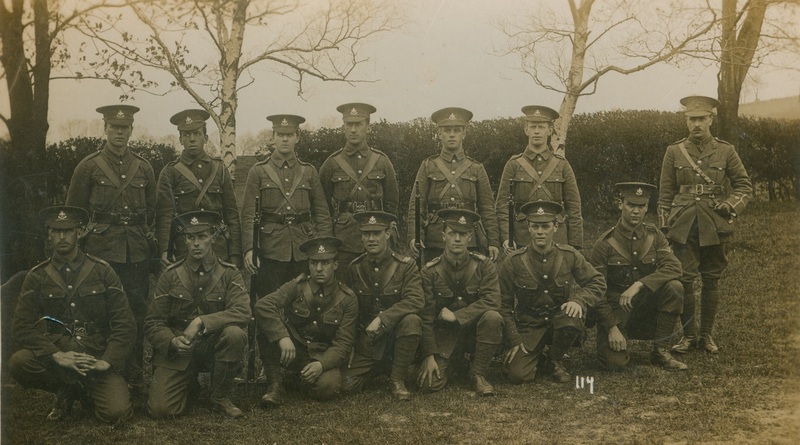 A group of 2/6th Battalion men at Cassiobury Camp in the summer of 1915 (Photograph by Beckley in Watford). The man on the left is a Bugler and they are all armed with Japanese 6.5mm Type 38 Arisaka rifles. 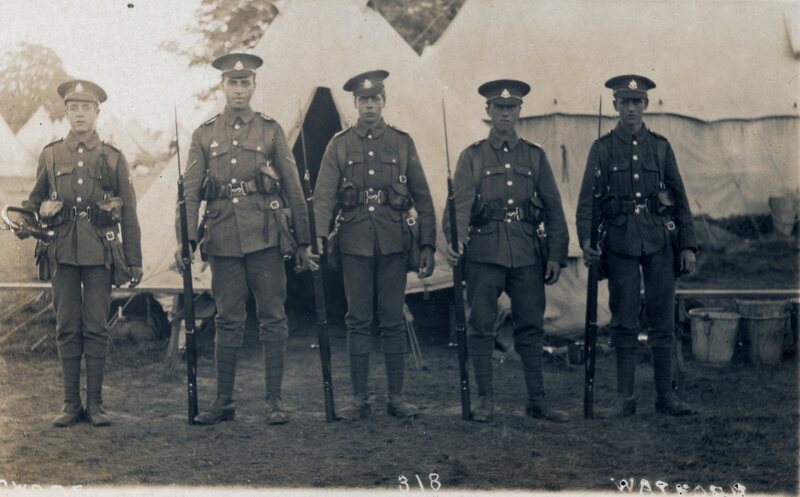 Another group of 2/6th Battalion men at Cassiobury Camp in the summer of 1915. The man on the left is a Bugler and they are all armed with Japanese 6.5mm Type 38 Arisaka rifles. On 25th February 1915 the 2/6th Battalion received ‘963 Japanese Rifles and 67 boxes of 1440 rounds of Japanese ammunition’. In early March Letter “B” Company was designated the ‘Imperial Service Company’ and placed under the Command of Capt. Evelyn Brown Johnson. At this time a special ‘1/6th Bn. Reinforcement Company’ was also established and the 1st Reinforcement was dispatched to the 1/6th Battalion in June 1915. 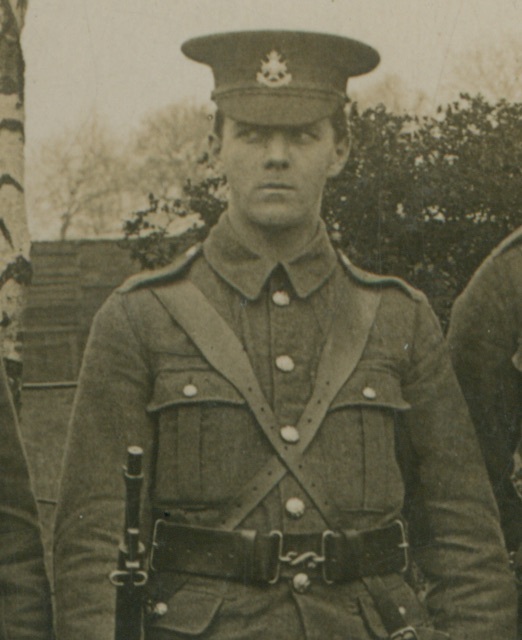 The 2/6th Battalion was stationed at Watford from August 1915 until April 1916. 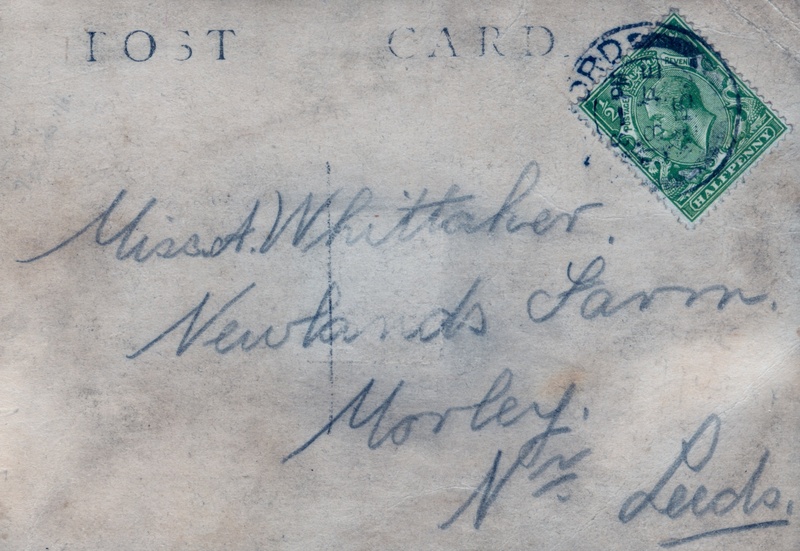 During the summer they moved out of billets and pitched Camp in Cassiobury Park. The 2/8th Battalion moved to Luton-Dunstable in January 1915 and moved into canvas camp at Cassiobury Park in June. 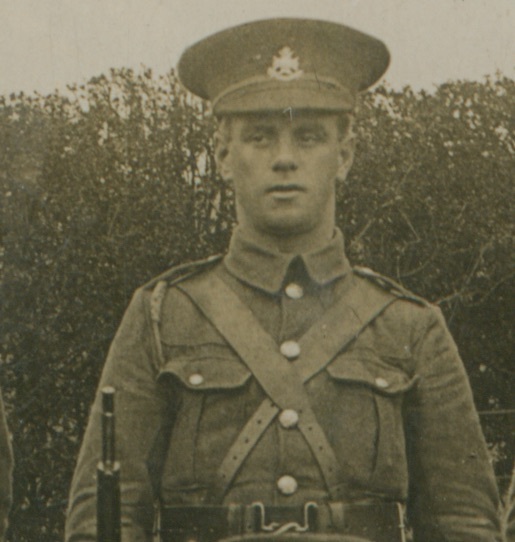 They went back into billets in October 1915 and then to Ireland in April 1916. I believe that this shows men of the 2/5th or 2/6th Battalion in late 1915. A sweetheart card sent to 3106 Pte. 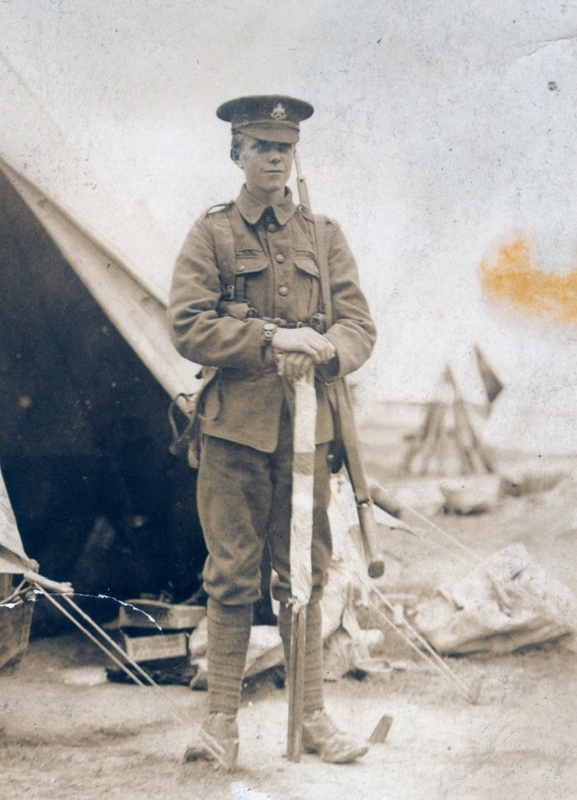 Cyril Flint of the 2/5th Battalion Sherwood Foresters in August 1915 from Miss Esther Mary Duroe.